Summary : A period drama set in the Song dynasty (10th - 13th century), The Young Warrior follows the ups and downs of a family of warriors. Three handsome actors from Hong Kong, Taiwan, and Mainland, namely Peter Ho, Eddie Peng, and Hu Ge, star as innate warriors of this legendary family. While numerous TV series have been made on the legendary Yang family, few really focus on their early military careers. The Yang brothers follow their father Yang Ye to fight against the Liao Kingdom which invades the Song dynasty from the north. The Yangs win the Liao army by a landslide, but later they also face attacks from within the Song imperial court. Eventually Yang Ye and all his sons, except the sixth son (Hu Ge), die in the battlefield. As the only remaining family member of the Yang clan, he decides to strike back against both external and internal enemies... 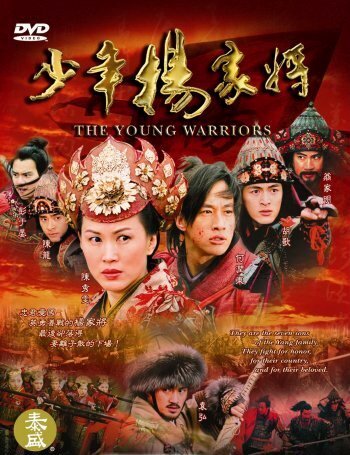 The Young Warrior co-stars veteran Taiwanese actor Weng Jia Ming as Yang Ye, and Hong Kong famous actress Amy Chan as the Yang brothers' mother.